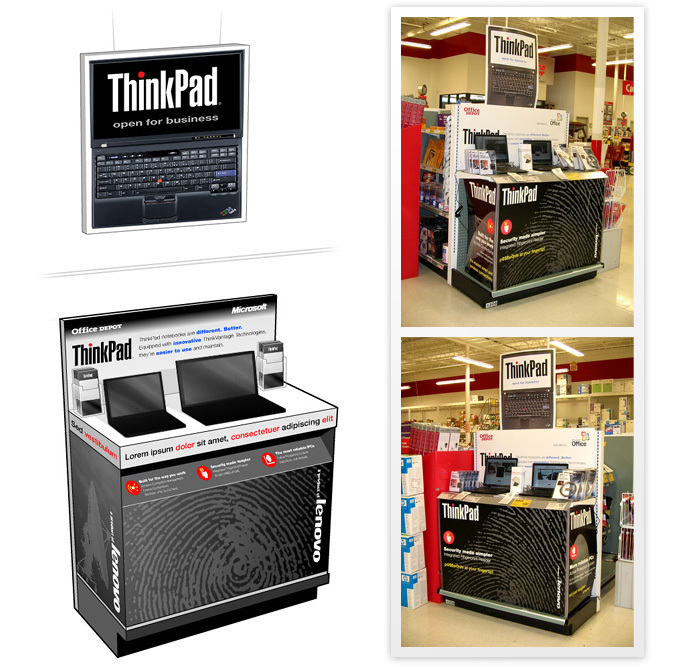 A ThinkPad display that was used inside Office Depot stores in the US. This is also a good example of how the final product can drift from what the original design was intended to be. All in all, I am still happy with how it turned out.